Thinking about running an e commerce website for your shop. Here are 8 unique features of e commerce websites. Every e-commerce website will need a payment system in place. The most popular one used by e-commerce systems is PayPal which can accept many types of card. E-commerce systems not only take just PayPal but can accept other forms of payment such as Stripe cards, however, you will need to set up an account with Stripe themselves before any integration can take place. E-commerce websites are not only adapted to online payment systems but can also utilise offline methods too, these include cash and cheque if that’s the way you wanted to go. Whenever a customer orders a product through your website, a PDF order slip is automatically generated which you can either view online or be printed off for convenience. This can help when packing your product rather than have the full order information slowing down the packing process. 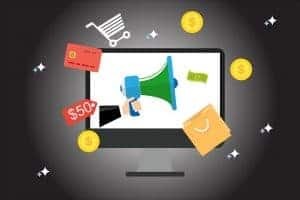 E-commerce websites are not only used for selling products from your shop but they can be used for selling events such as tickets for a festival, tickets for dining experiences, pretty much anything you like. We’ve experimented with systems where the customer receives a ticket with a barcode on it (via email) They then show the event organiser the barcode on their phone or on their printed ticket. The organiser then scans the barcode which then tells the website/e-commerce system they’ve checked in. Nifty! The main feature of an e-commerce website is the ability to categorise each product you have. This helps the visitor navigate around your website. You can have as many categories or even subcategories as you like to help the customer find the product they are looking for. When you have multiple quantities of the same product, wouldn’t it be easier if the system automatically counts down every time one of your products sells? Why is this a handy feature to have on your website? Imagine if you had 2 of one product and someone else ordered another? You will be caught without the product. This will obviously annoy your customer, as you will need to refund them the product ordered and potentially losing the customer from shopping on your website again due to inconvenience. One of the best things about e-commerce systems is the ability to use coupons. If you like to offer discounts for your customers on special occasions such as Mother’s Day or Valentines etc, you can do this easily by creating a coupon on the e-commerce system. The customer can then use the coupon on checkout to discount their items. With the customer’s permission, you can start to build up an email list. Everytime a customer orders a product through your site, they will need to enter their email address. If you get permission (opt-in box) you can send an email to these customers with future promotions to get them to revisit your website and make another purchase! Very handy on a remarketing perspective. When we build you up a new e-commerce website, we’ll give you a login where you can access your e-commerce system. This gives you the ability to add new products & delete existing ones in the system. You can also change the pricing or link products in a bundle to make life easier for you and your customers. Do you need a new e-commerce website for your business? We can help set you up one no matter how many products you have for your shop. Get in touch with Digital Burst Media for a quote!